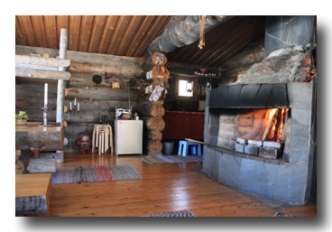 70 m2 block cabin 24 km south-east from Enontekio, on the shore of Lake Ketojarvi, in an uninhabited wilderness. Beds even for 11 persons. 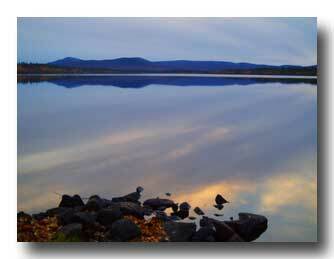 Beautiful view over the Lake Ketojarvi to the Ounas-Pallastunturi fells. Nearest inhabited house 5 km away from the cabin. Going from Enontekio 40 km by car until you see a sign Kolatusjarventie. 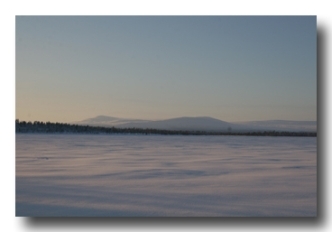 Leave your car in a suitable place and walk or ski in the winter 5 km to the cabin. You can get the specific instructions when you come to Enontekio. 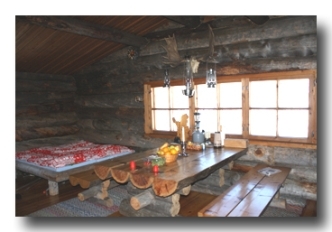 Ketojarvi cabin has a roomy living room, kitchen, two bedrooms and sauna. No electricity or running water. 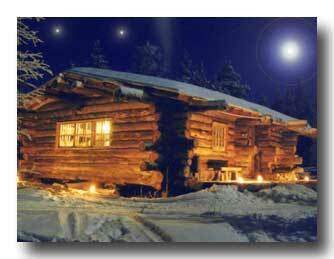 Warming by liquid gas heater or with huge fireplace, cooking by gas. A container for heating water in sauna. A lot of candles and oil lamps for illumination. Drinking and washing water from the lake. 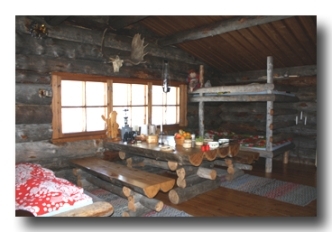 Cabin has basic cooking and dining set. There is also a rowing boat by the lake. Perch and white fish are the most common fishes in the lake.